The news that West Elm is opening in the revamped John Lewis Home department in early September is interesting for a number of reasons. As is often the case for US imports, trading in the UK has proved to be far tougher than they anticipated. At first sight, Tottenham Court Road seemed like a good choice for its first location. But was it? The fact that there are many other home brands there should fool no one: history shows that over the years many have not made money. The reality is that Tottenham Court Road has a totally atypical core footfall. Does it really attract loads of additional customers as THE major home destination in the South East? I suspect that this store has not told the company very much about if and how it would work in more typical suburban locations. Home retailers need significant footage to work and given our massively higher occupancy costs relative to the US, this is a major barrier. Higher costs need much higher sales densities than they are used to. Supplying product to John Lewis might prove to be a great move for West Elm and for its parent Williams-Sonoma. There is a good fit in terms of target customers. It will be intriguing to see exactly how the range is presented. After all, Home is THE core product category for John Lewis. It needs to ensure that anything branded here augments, not dilutes its own hard won name in the market. For West Elm, this will be a supplier business rather than a retail one. Its future as a stand-alone retailer in the UK will remain uncertain even if it succeeds as a supplier. 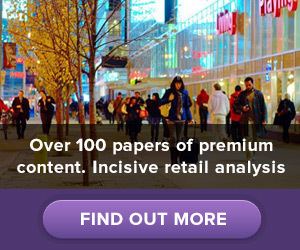 ** More analysis of UK and US home retailers in the premium content of richardtalksretail. Get in touch for subscription access. What’s gone wrong at Asda? Less than a year ago it was the member of the “4 majors” dealing with this period of unprecedented competitive turmoil the best. It seemed the most comfortable in a price-dominated market, or maybe the least uncomfortable. Today it is the least, and its latest trading report showing its Q2 sales -4.7% yoy are the worst in a line of deteriorating numbers. Looking for the reasons, there is some circumstantial evidence. It is proportionately the most exposed to non-foods, an area in which used to be best of class but it is very hard to see a competitive edge today. Asda is by far the most price-led. This may have been a defensive trait early on but is increasingly inviting its customers to judge its offer predominantly on price, and coming out second best. My store visits today showed some weakness in store disciplines, especially availability across several food areas. In general, Asda’s offer looks a bit tired and down market. As I said at the outset, some of the above is circumstantial. Asda is a good retailer and does most things reasonably well. There are no glaringly obvious weaknesses. CEO Andy Clarke has said today that these numbers represent the nadir and the corner has already been turned. A key characteristic of this market is its unpredictability. That forecast will be tested as the discounters take more market share over the coming months and beyond. An already very bad dream just got worse for Britain’s food retailers. Their world has already been turned upside down, the major players very much responding to the the tune of the discounters. There are too many stores, and having failed to learn how to be good enough at selling non-foods, the economics of large stores in particular are often compromised. We have now had 12 consecutive months of price deflation, averaging around -7% yoy across the total product offer. And the first 6 months of the year saw the total value of spend down on last year. So waking up to find that Amazon is about to enter the UK market is less than welcome news. Some might take comfort from the fact that Amazon seem to be entering the UK market very early. After all, its various food retail trials across the US are still exactly that – trials. The company has clearly yet to master the challenges of a totally different market to the books, music and films it is built on. Some may think they will never make money in food but this misses the point. There is clearly no growth in the food retail market right now, nor will there be for some time. The value players are investing massive sums in growing their businesses and this alone will deliver them market share growth. That growth might be a bit slower than it has been in recent years, but they will be winning more share than they already have. Amazon will be another mouth to feed and however challenging it finds food retailing, it will take market share from existing players. Even before the market has learned to deal effectively with the discounters’ disruption, Amazon will emerge to create still more. ** The premium content of this site has analysis and forecasts for the sector. Get in touch to discuss access. However important leadership has been in the past in our industry, there is no doubt it is becoming much more so. The past 18 months have seen the stakes raised significantly with many moves at lots of our leading retailers. Last night’s news from M&S is just the latest. Leadership is becoming more precarious. Given the greatly enhanced scrutiny leaders are under, and the rate and scale of change they are grappling with, the pressures will at very least remain as frantic as it has been. In fact it will more likely ratchet up still further. This is the most challenging retail market we have seen for generations. The pace of change has never been faster, and is gaining momentum. The rear view mirror has become almost irrelevant for navigating, and the future shape of the market, even in the short term, has become much more difficult to see. Rampant price deflation across every sector reflects an industry whose fundamental economics are changing. So alongside greater scrutiny is the reality that in my opinion at least, leaders are actually in less control than they have been in the past or are expected to be now. Not surprisingly, the skillsets that worked well in the past are far less applicable now. Today’s market needs leaders who can grow the sales line. That can deliver genuine growth, not just the promise of growth in a fanciful series of stories. These skills are in short supply. Being good at leading, managing and operating are simply not enough any more. 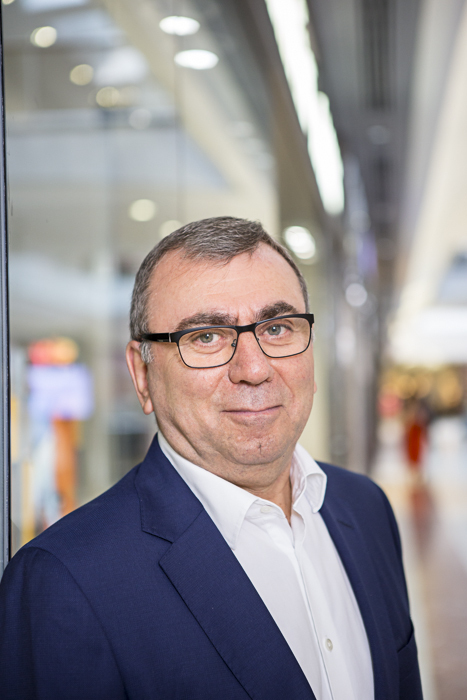 The next 18 months will see more changes at the top, involving some of our leading retail names as well as some hoping to be leading tomorrow. Retail USA – future shape of UK? It is commonplace to overrate the parallels between the USA and UK, driven by history, culture and language. Retail is no exception, the similarities largely outweighed by the differences. I have been following both industries for 30+ years and while many differences remain, there are now some compelling trends pushing us closer. The US market has been chronically oversupplied for many years. Relatively low barriers to entry have produced a permanently crowded market. Too much supply has ensured that price tops the agenda and has done so for decades. US retail has spawned many new, compelling formats but strikingly (and inevitably), the vast majority have been price-led. Catalogue showrooms, warehouse clubs, non-food GM category killers like KMart, Wal-Mart, Target (each subsequently adding food as an afterthought), fixed price discounters, and big box category killers like Home Depot and Best Buy. And then there are the Outlet Centres which dominate every US metropolitan market, teaching consumers they never have to pay full price. The result of all this is wafer thin net margins in US retail, in spite of their relatively much lower operating costs. This is the shape of the future landscape of UK retail. Naturally, the structural UK shape will be different but the economic end game will look increasingly similar. We have now had price deflation more than long enough for it to represent a dangerous drug very difficult to ween customers off. UK retail margins are under growing pressure. Obviously there will be exceptions to the rule but for the industry as a whole, this is a one way ticket.